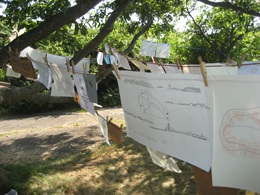 The Bumpkin Island Map Archive is an installation that explores cartography and the process of map making in an artistic and participatory way. 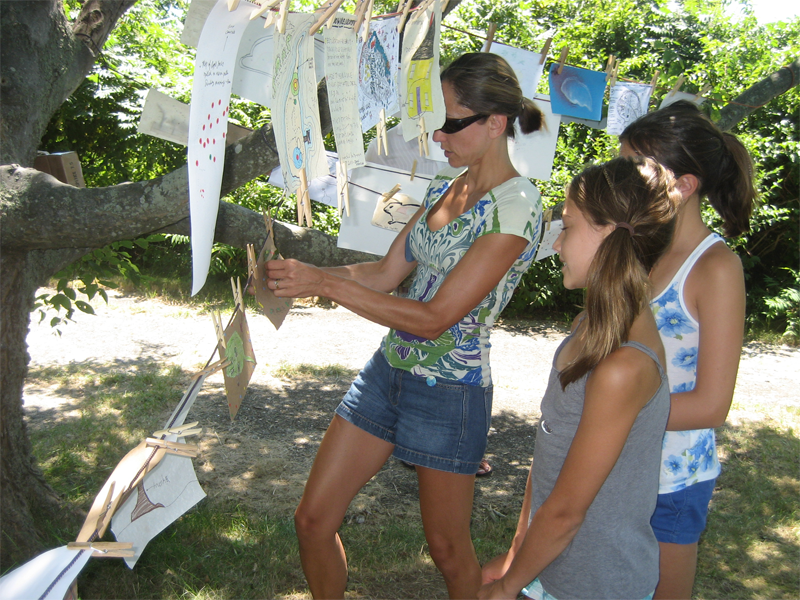 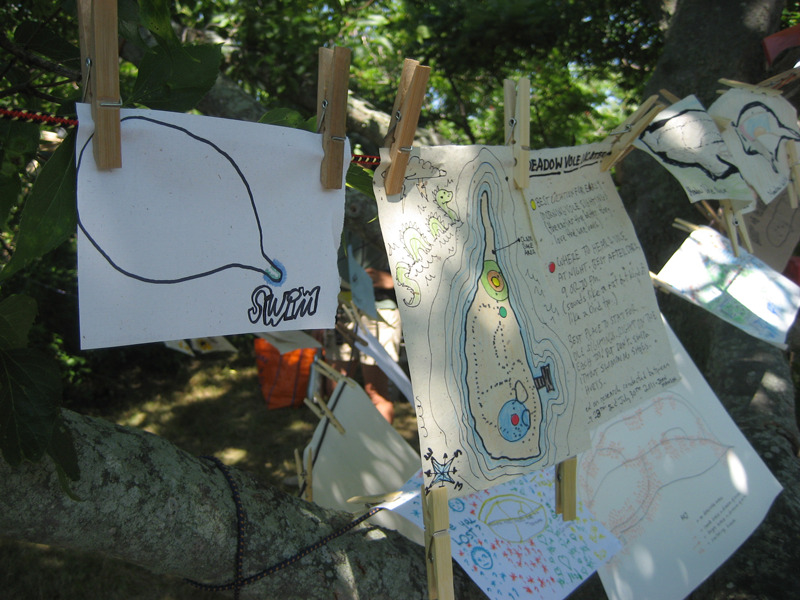 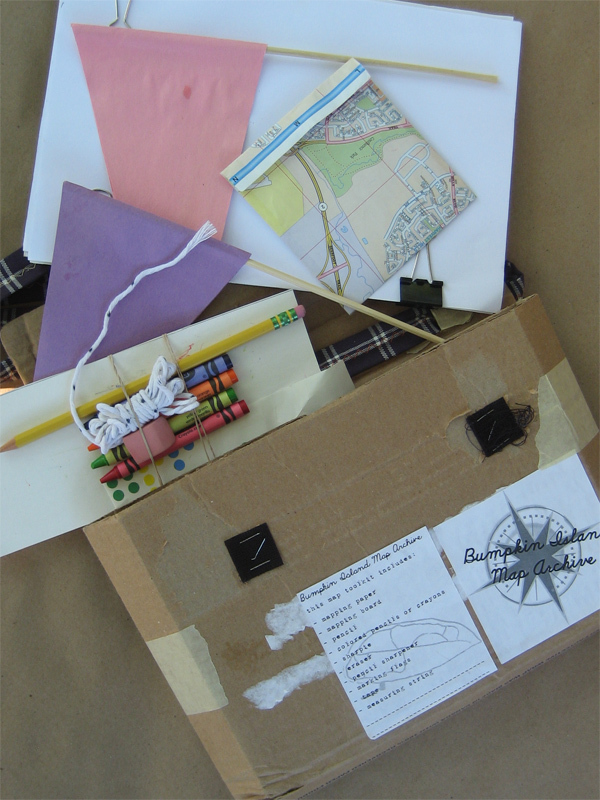 As part of the 2011 Bumpkin Island Art Encampment a variety of maps of Bumpkin Island (a small island in Boston Harbor) was created that represent physical, abstract, and even imaginary features of the island as they are subjectively experienced. These maps were displayed as the Bumpkin Island Map Archive and could be explored by visitors of the island. 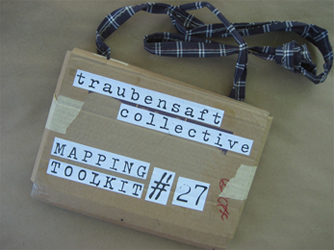 Furthermore, the Map Archive served as a post where visitors could check out "map toolkits" that contained different materials to create their own maps and, in turn, donate them to the archive. 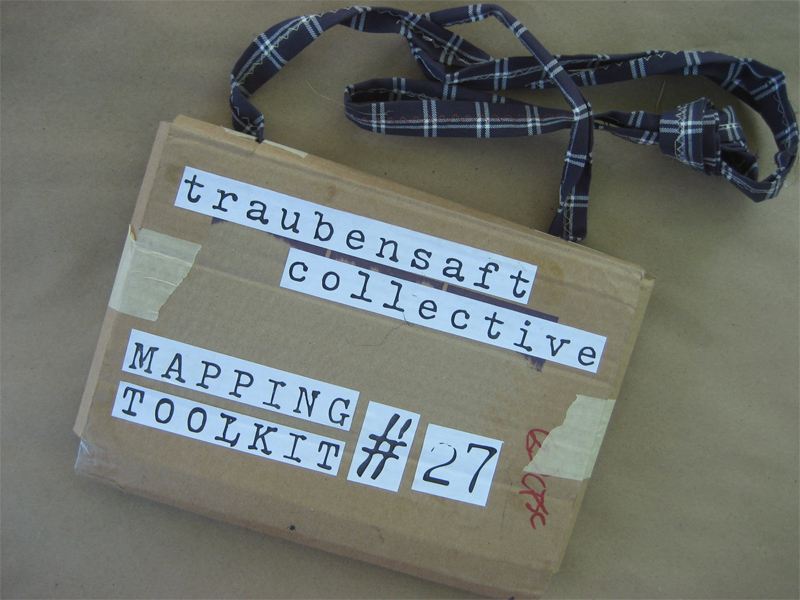 The Bumpkin Island Map Archive is a collaboration between Zannah Marsh and Uta Hinrichs that, together, form the traubensaft collective. 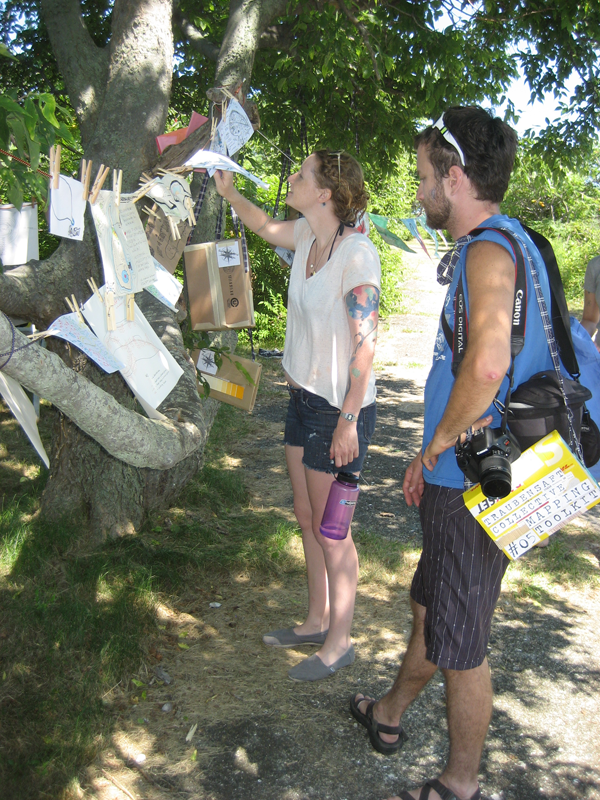 For more details about the project and images of the maps, go to the Bumpkin Island Map Archive project page.